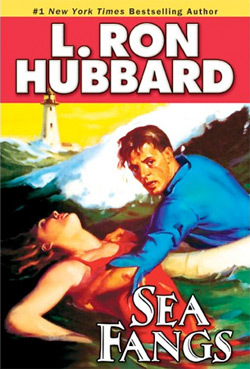 On the road from sea stories to Scientology. He was a writer, first and foremost, and he spent a lot of time thinking about writing. He was a good writer. He could turn a phrase. He could move a story along. Still, it was difficult to make any money at the thing. He spent some time in Greenwich Village in the 1930s, hanging out with the other writers and artists, thinking about what it means to spend a life with the written word, to pay the bills working as a writer. He found his answer in the pulp fiction scene of the ’30s and ’40s. Magazines and book publishers were looking for fast-paced writing that told fast-paced stories of adventure, mystery, and intrigue. He could do that. He could do that as well as anyone.